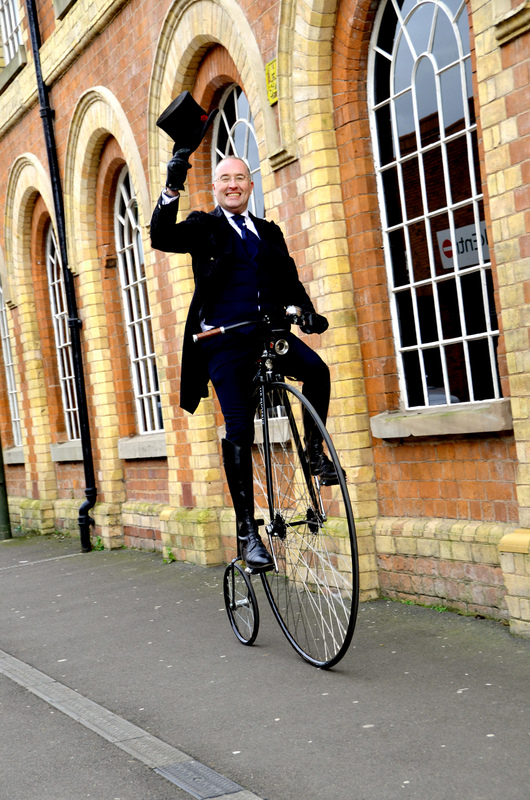 Penny Farthing riding Dr Lionel Stretton arrives at the Museum of Carpet in anticipation of the new exhibition, A Century of Surgeons! Anyone fancy having a go? Previous Stour Vale Mill…in LEGO!